Despite disagreement on how to respond to the eroding Jewish character of the I.D.F., the confirmed halakha is that one is obligated 'to admonish.' Filing a complaint is customary in the IDF, and is not considered an affront to authority. A week ago, I participated in a meeting of rabbis convened at the initiative of my father and teacher, Rabbi Zalman Baruch Melamed shlita, to discuss the continued erosion of the Jewish character of the IDF in various areas. This process, headed by the Chief of Staff and his deputy, is leading to the creation of an environment unsuitable for conducting a traditional Jewish lifestyle, primarily in the area of mixed-gender units, and non-observance of rules of modesty. Some of the rabbis who participated in the meeting thought we should set a red line, which if crossed, would obligate soldiers to refuse orders. Others felt that the problems were profound and complicated and therefore require a wide-ranging struggle about the overall objectives of the army, and to even declare that if the situation continues deteriorating, we will be forced to call for young men to postpone enlistment for a number of years until the situation is rectified. In contrast, some rabbis believed that although the means of rectifying the situation were unclear, there is no room for such a call. They also felt that defining a red line beyond which a soldier is obligated to refuse orders is also problematic, because the situation of a career soldier liable to lose his livelihood cannot be compared to that of a compulsory soldier, and as a general rule, the halakhic boundaries in matters of modesty are less defined, and depend on the person, place and time. Within the range of opinions, I suggested we agree on one basic position, founded on the mitzvah of ‘tochacha‘, (admonishment): Every soldier encountering a significant problem in the field of halakha and ‘tzniyut‘ (modesty), is obligated to fulfill the mitzvah of ‘tochacha‘, which is mandatory from the Torah, by filing a complaint through the appropriate channels of the army and the general public. Even if there are those who believe such a proposal is not the most effective, it is a Torah obligation whose fulfillment is widely neglected, and it is crucial to return it to its rightful place. Military officials to whom complaints have been raised concerning the severe damage to religious soldiers and the Jewish character of the army claimed there is no problem, because out of all of the soldier’s complaints about various matters, the percentage of complaints about religious matters is minimal. 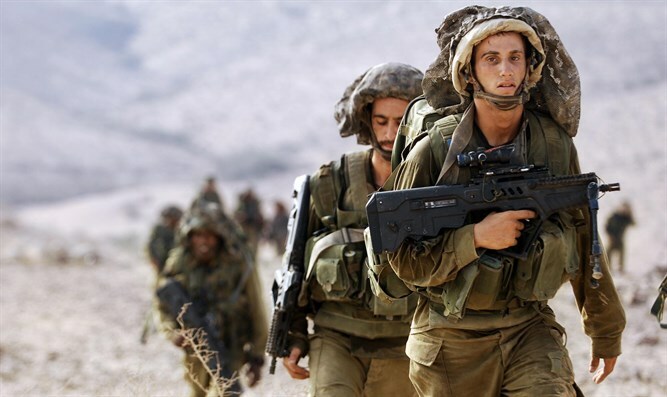 For that reason, meticulous observance of the mitzvah of ‘tochacha‘ will contribute to raising the awareness of the army high command, and will help improve the situation. The proposal was accepted, and I was asked to write a halakhic article on the matter. It is a mitzvah for a Jew who sees a fellow Jew sin, to admonish him. It is forbidden for the admonishment to stem from hatred, but on the contrary, it must emanate from love and responsibility for his well-being; just as a Jew must be concerned about his fellow not starving from hunger, so too, he must be concerned that he does not sin. And indeed, we find that the verses in the Torah regarding the mitzvah to love a fellow Jew and the mitzvah of admonishment appear in close proximity, as it is written: “Do not hate your brother in your heart. You must admonish your neighbor, and not bear sin because of him. Do not take revenge nor bear a grudge against the children of your people. You must love your neighbor as you love yourself” (Vayikra 19: 17-18). The Torah teaches us that by admonishing we express true love; in contrast, however, when we fail to admonish suppressed resentment accumulates, and in the end, people become hateful and vindictive. However, by admonishing the situation is rectified. And even if the situation is not resolved successfully, one’s frustration subsides, and realizes that perhaps it is very difficult for the sinner to change his ways. When it comes to the transgression of a public entity the obligation to admonish increases, because the sin affects the masses and the character of the general public. Our Sages said: “Whoever can forbid his household from committing a sin but does not, is punished for the sins of his household; if he can forbid his fellow citizens, he is punished for the sins of his fellow citizens; if the whole world, he is punished for the sins of the whole world” (Shabbat 54b). Thus, if a soldier can admonish a transgression but refrains from doing so, even though he himself did not sin, he becomes a partner in the transgression, and is punished. The Talmud (Shabbat 55a) relates that Rabbi Zeira said to Rabbi Simeon, who was in contact with Resh Galuta: ‘Rebuke the members of the Resh Galuta for their misdeeds’. Rabbi Simeon replied: ‘They will not accept it from me; why should I rebuke them in vain?’ It is worth noting that government officials hate rebuke, and one who reproves them is liable to pay a personal price, therefore Rabbi Simeon felt that if in any case they would not accept his rebuke, it would be better to remain silent. ‘Rabbi Zeira said to him: Even though they will not accept, you are obligated to rebuke them. For Rabbi Acha the son of Rabbi Hanina said: “Never did a favorable word go forth from the mouth of the Holy One, blessed be He, of which He retracted for evil, save the following.” In other words, after a good order is declared from Heaven, God does not go back on His word, except in the case of people who could have admonished the sinners but refrained from doing so, as was the case when God decreed the destruction of the Holy Temple: initially, He decreed punishment only on the wicked, but retracted, and sentenced the righteous to punishment for not admonishing, as it is written: “And the Lord said unto him, Go through the midst of the city, through the midst of Jerusalem, and set a mark (the Hebrew letter ‘tav‘) upon the foreheads of the men that sigh and that cry for all the abominations that be done in the midst thereof,” etc. (Yehezkel 9:4). The Holy One, blessed be He, said to Gabriel: Go and set a ‘tav‘ of ink upon the foreheads of the righteous, that the destroying angels may have no power over them; and a ‘tav‘ of blood upon the foreheads of the wicked, that the destroying angels may have power over them. The Attribute of Justice said before the Holy One, blessed be He: ‘Sovereign of the Universe! Wherein are these different from those?’ God replied: ‘Those are completely righteous men, while these are completely wicked’. ‘Sovereign of the Universe!’ the Attribute of Justice continued, ‘they (the righteous) had the power to protest but did not.’ God replied: ‘It was fully known to Me that had they protested they would not have heeded them.’ ‘Sovereign of the Universe!’ he said, ‘If it was revealed to You, was it revealed to them?’ Hence it is written: ‘Slay utterly the old and young… and begin at my Sanctuary. And it is written: ‘Then they began at the elders which were before the house’ (ibid. ).” Rabbi Yosef explained that these elders with whom the calamity began were men who fulfilled the Torah from ‘alef‘ to ‘tav‘, but since they did not fulfill the mitzvah to protest – they were punished first. How many times must one rebuke? Our Sages said: “‘hokeah‘ (you shall surely rebuke) implies even a hundred times” (Bava Metzia 31a). This is on condition that there is a chance the reproach will be accepted, since the rebuke is directed towards a person who agrees to the principles upon which the protest is based; or in our case, when directed towards a public entity, when the number of complaints against it adds up to a certain amount, they begin to change themselves for the better. When there is absolutely no chance the rebuke will be accepted, the mitzvah is to admonish only once, and not to continue rebuking beyond that. As our Sages of blessed memory said (Yevamot 65b): “As one is commanded to say that which will be obeyed, so is one commanded not to say that which will not be obeyed” (Rema, O.C., 608:2; M.B. 9). To what extent must one make an effort to reproach? The Amoraim (Torah scholars of the period from about 200 to 500 CE) differed on this question: In the opinion of Rav, the person rebuking must firmly admonish the sinner to the point where the sinner wants to hit him. In the opinion of Shmuel, the rebuke should be severe, but not to the point of striking, rather, until the sinner feels like cursing him. And according to Rabbi Yochanan, rebuke should be given until the sinner scolds him, saying harshly that he does not want to hear from him anymore (Archin 16b). The halakha was determined by Rambam (Maimonides) that reproach should be given until the sinner feels like hitting. He wrote: “Indeed, one is obligated to rebuke a colleague who does wrong until the latter strikes him and tells him: “I will not listen.” Whoever has the possibility of rebuking sinners and fails to do so is considered responsible for that sin, for he had the opportunity to rebuke the sinners” (Hilchot De’ot 6:7). Thus, the duty to rebuke obligates a soldier even when it involves entering into very unpleasant situations before his superiors. The obligation exists even when the odds are it will not be accepted, because there is always a chance it will help somewhat – even one out of a hundred reproaches. Whoever does not rebuke becomes partner in the sin of the entire chain of command, who harm the Jewish character of the IDF, and force soldiers to transgress halakha. If this was the case in times when superiors were less considerate of complaints, all the more so today, when all public institutions create internal audit bodies and provide the general public with organized ways of appealing, in order to improve themselves by use of the complaints. Many religious soldiers are under the impression that a complaint is considered a challenge to the authority of a commander, and perhaps even damaging to the army. However, it is important to realize that such an attitude is a remnant from the era of monarchies. Back then, a complaint was considered an affront to the monarchy, but nevertheless, the Torah instructed to protest against the sins of the empire. Today, in contrast, a complaint is considered meritorious civil behavior. This is how a democratic system involves the general public in shaping and improving its institutions. First, a soldier should turn to his immediate commanding officer and to the military rabbi of his unit. If they solve the problem, all the better. 1) To the Ministry of Public Inquiries of the Personnel Division. Parents and family members can also contact them. This office is accustomed to working efficiently and quickly. 2) To the hotline of the IDF Rabbinate, it being the body directly responsible for Jewish affairs in the IDF. 3) To organizations that accompany soldiers in the army, such as the ‘Association of Hesder Yeshivas’ and the ‘Association of Higher Yeshivas’, and also public organizations such as the ‘Tzav Rishon’ and the like. 4) The IDF Soldiers’ Complaints Commissioner. This is a non-military body, whose work is extensive and systematic, and is intended for cases in which the army failed to rectify itself effectively. 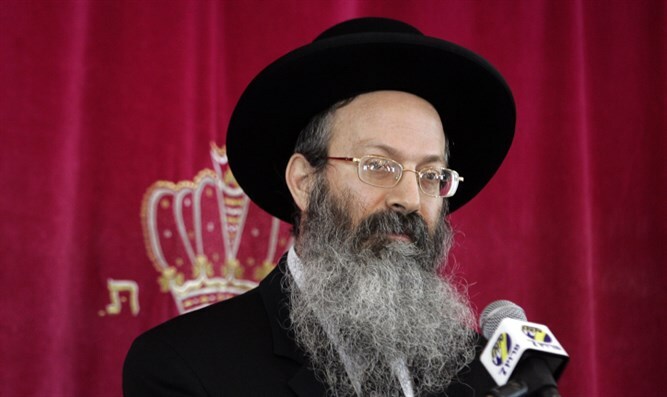 For serious problems that do not receive a proper response, it is advisable to send a copy of the complaint to media outlets such as ‘Besheva‘ and ‘Arutz Sheva‘, who are more than willing to assist in such cases. When it is difficult for a soldier to fulfill the obligation to protest, parents can substitute for him, and fulfill the duty of protesting in his stead. The mitzvah to protest should be fulfilled as promptly as possible, because the closer to the time of the incident the complaint is lodged, the more benefit it bears. Nonetheless, even if a soldier was negligent and did not complain at the time of the incident, he should subsequently file a complaint – even after a year has passed – because having it on file in all four of the previously mentioned channels is still useful.